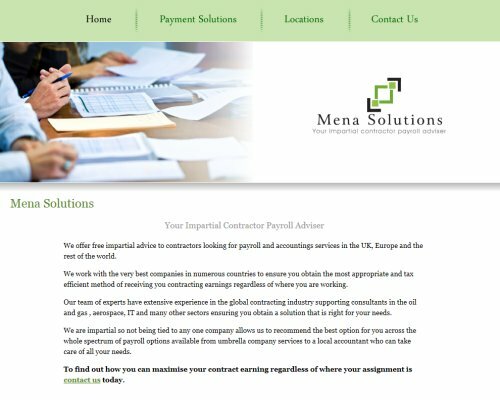 Mena Solutions offer free impartial advice to contractors looking for payroll and accountings services in the UK, Europe and the rest of the world. Working with the very best companies in numerous countries to ensure you obtain the most appropriate and tax efficient method of receiving you contracting earnings regardless of where you are working. We designed this simple but elegant site for Mena Solutions and developed it so that their customers can find it easily if they need to find out further information.